Twinkle Torch, a game that was inspired by the idea of just playing a game with someone because they can’t play it alone. Sounds super simple enough and that super simple idea produced an actually fun game with a lot of potential. Twinkle Torch is a dungeon crawling co-op game with some bullet hell mechanics involved. Two players must travel the dungeon and fight many enemies to get through each locked gate. To aid them, the Twinkle Torch who I’m told is a living being, accompanies them on their quest through the dungeon. 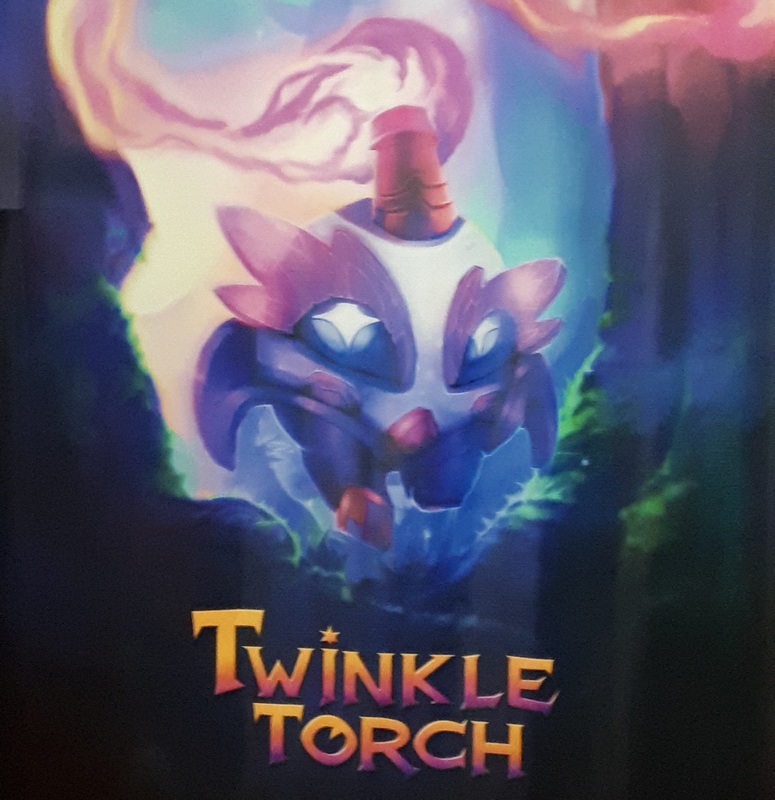 The Twinkle Torch grants them powers like healing, energizing mana, and probably other stuff depending on which character you get. So there’s like a tanker and a DPS/Healer for you to pick. The Tanker can create shields to protect both of the players while the other one can heal and be the main attack force. The game was surprisingly fun especially the bullet hell aspect of it. The graphics was something I found to be one of its strong points as it seemed like a game with pretty decent budget going for it, at least on the graphical side. It could use some polishing up to really make the game something people would definitely buy. According to the devs, Red Trident, they plan to release a maximum of 7 characters since they feel that adding any more would be unnecessary. They also have plans to create a story campaign mode with 7 hours worth of game time and levels outside of the campaign. Looks like the devs really wanna go all-in with this project and if I had as much fun as I did during the demo then I can’t wait to see what the final product will look like.